Radio - Invention History and Fight for Patents - Who Invented Radio? The invention history of the radio is not only interesting but rather long as well. If you ask who invented the radio, probably you will get the name Marconi. But, was it really Marconi who invented the radio? Well, you have to determine for yourself after going through the journey of the invention history of the radio. There are a lot of knots to be untangled if you want to arrive at an answer as to who invented the radio. Was the inventor of radio the person who discovered that electromagnetic waves can be sent through air? Was it the person who sent signals to the farthest distance? Was it the person who sent the first signals with voice? Well, the answers are in fact not easy. Wireless itself is relatively a broad concept. Within the wireless category itself, there are many subcategories of which radio broadcasting is just one; the others include wireless telegraph, wireless ship-to-shore communication, and the like. To know the development of wireless, it is crucial to first track the events that led to the discovery of electricity. Though there is early documentation, it was in 1600 that electricity as a science had its beginning. It began when Dr. William Gilbert, Queen Elizabethâ€™s personal physician invented the electroscope which could detect electromagnetic energy in the human body. Gilbert coined the word â€˜electricity.â€™ From there, a lot of researchers and scientists had their hand in the development of this wonderful field of science. Sir Thomas Browne, Alessandro Volta, Benjamin Franklin, and Georg Simon Ohm were a few among the many who made several contributions to the science of electricity. Radio is, in fact, indebted to other major discoveries for its birth: the telephone and the telegraph. Perhaps, these three technologies are very closely related. Radio first started as wireless telegraphy. And, the credit certainly goes to the invention of the radio waves which was found to be capable of sending out music, speech, picture and various other data through air. The true interest in wireless began with the invention of the telegraph in 1837 by Samuel F. Morse in 1937; the telegraph required wires which was a bit expensive proposition during those times. In the 1860s, James Clerk Maxwell, a Scottish mathematician and physicist, was the first to forecast the presence of radio waves; however, he was not able to prove his theory. Following him, several researchers tried various means to showcase the presence of the radio waves. But, the real experiments that led to the discovery of the Radio started with Heinrich Hertz in 1887. A few call him the father of Radio because it is known that his experiments instilled interest in Marconi. In those days, Radio waves were called Hertzian waves.Â Hertz showed the projection of swift variation of the electric current into space in the form of radio waves. Hertz then measured the velocity of the waves and found they were the same as light, 186,000 miles per second. When the world was heading towards the 20th century, inventors all over were trying on new and exciting inventions. A lot of scientific work in radio technology was heating up as well. In the race to invent the radio, two men, a Serbian-American scientist Nikola Tesla and an Italian physicist Guglielmo Marconi went head to head. However, even today or a hundred years later, ask any two people about who invented the radio and I bet you – you will probably get two different answers. The story is perhaps a foggy one that is a mixture of scientific discovery with lawsuits and some old-fashioned marketing. Tesla invented the induction coil or the Tesla coil after he came to the US in the year 1884. A Tesla coil is a device required to send and receive radio waves (it is said that Marconi relied on this coil for his experiments). In about 1895, unfortunately, Teslaâ€™s laboratory was completely destroyed by fire when he was preparing to send a radio signal about 50 miles to the West Point, New York. Twenty years after the telephone was invented, music was set down on telephone line and Marconi was the one responsible for the radio signals. The Italian discoverer showcased radio communicationâ€™s feasibility. He was fascinated by Hertzâ€™s discovery of the radio waves that he realized it could be employed for receiving and sending telegraph messages; he referred to it as wireless telegraphs. Marconiâ€™s earliest radio transmissions transmitted coded signals to only a mile far in the year 1896. Later Marconi recognized the huge potential of these waves and offered the discovery to the Italian government. Unluckily, the government turned it down. Marconi then realized a patent and started experimenting further after he moved to England. In 1896, Marconi sent and received Morse code-based radio signals at distances spanning approximately four miles. The same year, he applied for and was granted the worldâ€™s first patent in wireless telegraphy. It was in England that he received the first patent. In 1898, he made the first ever public broadcast of a sports event â€“ he flashed the results of Kingstown Regatta to Dublin Newspaper office. Tesla applied for his first patents for his radio work in 1897 in the US. He also constructed and demonstrated a radio-controlled boat at the Madison Square Garden in the year 1898. And, this was where things started getting sticky. In 1900, the US Patent Office granted Tesla with patents for the fundamental design of the Tesla coil. 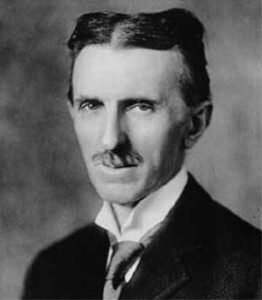 The radio patents offered to Tesla gave him the ownership over one of the major necessities in radio communications. Towards the end of the same year, Marconi filed a patent for tuned telegraphy. The patent office first denied Marconiâ€™s applications saying that his work relied on the use of Tesla coils. Not getting discouraged, Marconi made use of his fatherâ€™s contacts and wealth to lead a lucrative business based on his telegraph technology; meanwhile, he continued to pursue his radio patents. In the year 1901, he transmitted the first transatlantic telegraph. Marconi continuously applied for the patent for three years while he also gained financial support from company investors like Thomas Edison and Andrew Carnegie. Finally, in 1904, the US Patent Office strangely reversed its earlier decision and gave Marconi the patent for the invention of the radio. 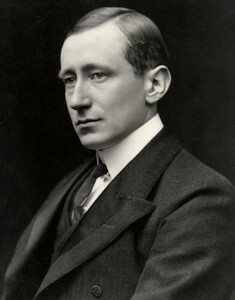 Marconi also won the Nobel Prize for physics in 1909. This further fueled the rivalry with Tesla. After a lot of lawsuits, the US Supreme Court restored Tesla (who had died a few months earlier) as the inventor of radio!! However, many people still believe that Marconi is the father of the radio. 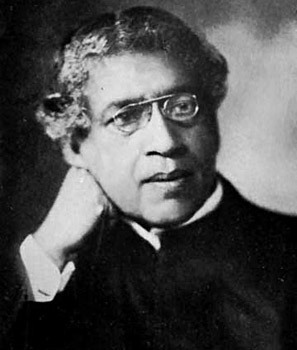 JC Bose of India was another claimant to the throne of radio inventors. In 1896, he demonstrated radio transmission to the British Governor General at Calcutta in India. The transmission covered a distance of around 3 miles. The instrument he used, the Mercury Coherer attached to a telephone detector, is still displayed at the Calcutta Universityâ€™s Science College. Bose had overcome Hertzâ€™s problem of waves not being able to penetrate through mountains, walls or water. Marconiâ€™s Coherer and Boseâ€™s Coherer were exactly the same. Bose was hesitant about applying for a patent because he was a firm believer of free flow of inventions in the field of science. However, due to the persuasion of his American friends, he had applied for a patent in 1901. In the year 1904, the US patent was granted to him. Even before Tesla and Marconi made their way towards the Radio, Nathan Stubblefield, a Kentucky farmer and inventor, demonstrated wireless technology in public in the year 1892. He was able to broadcast signals as well as voice and music!! In 1898, again he demonstrated wireless to a documented distance of about 500 yards. 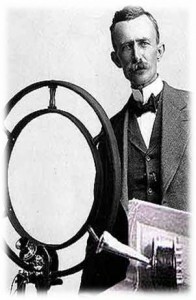 Later in 1902, he showcased a ship-to-shore broadcast on the river Potomac in Washington DC; for this, he received a patent for wireless telephone in 1908. Stubblefield was actually afraid that someone would steal his idea and invention that he tried every possible means to shelter it from everyone. Once he was offered $500,000 for this invention but he refused as thought his invention deserved more. He envisioned the device in motorcars. Following a demonstration in Washington in 1912, his whole device was stolen. He firmly believed that his invention was copied. Sadly, Stubblefield died of starvation after going into seclusion because of his failed attempts for acceptance of his invention. Now, who is the actual inventor of the Radio? Well informed professionals still feel that the whole credit of the invention of the radio should go to Stubblefield. If you visit the Town Square in Murray, Kentucky, you can find a statue of Stubblefield with an inscription â€œMurray, Kentucky, Birthplace of Radio.â€ Now, who is the inventor of Radio? The US Supreme Court ruled that Tesla is the father of Radio and Marconi is not. The question still remains whether the honor should really go to Stubblefield or rather Bose. Radio has evolved tremendously over the years. Earlier, transmitters were called spark gap machines. They were mainly established for ship-to-ship and ship-to-shore communication. Those days, communication was limited to two points and did not involve public broadcasting as it is today. In case of sea disasters, wireless signals displayed effective communication for rescue operations. A range of ocean liners started installing the wireless equipments and in 1899, the US Army set up the wireless communication. Two years later, the Navy adopted the wireless system; it was a great relief because until then, Navy was using homing pigeons and visual signaling for communication. In 1901, radiotelegraph services were established in the Hawaiian Islands. Marconi station located in the Massachusetts carried greetings between Theodore Roosevelt and King Edward VII. In the year 1905, Port Arthurâ€™s naval battle was reported of using wireless communication and the US weather department used radiotelegraphy. Sooner, radio transmitters were improved a lot. Overseas radiotelegraph services slowly started developing. Lee Deforest, the inventor of space telegraphy, Audion, and triode amplifier, took care of the developments in many technical issues. Deforest also discovered the detector. In fact, he was the first person to use the term â€˜radio.â€™ His work resulted in the discovery of AM radio that was capable of broadcasting several radio stations which the earlier gap transmitters did not allow. Ever since that time, there has been no looking back. The radio has now become a popular medium of handy entertainment. With the technological advancements in the 21st century, the Internet radio is also introduced. Satellite radio is another recent development in the field. Using this, one can listen to several international radio stations without any issues. In addition to all these latest editions, Ham radio is the next big thing. No wonder radio lovers have a reason to celebrate as there is perhaps a lot in store for them! !